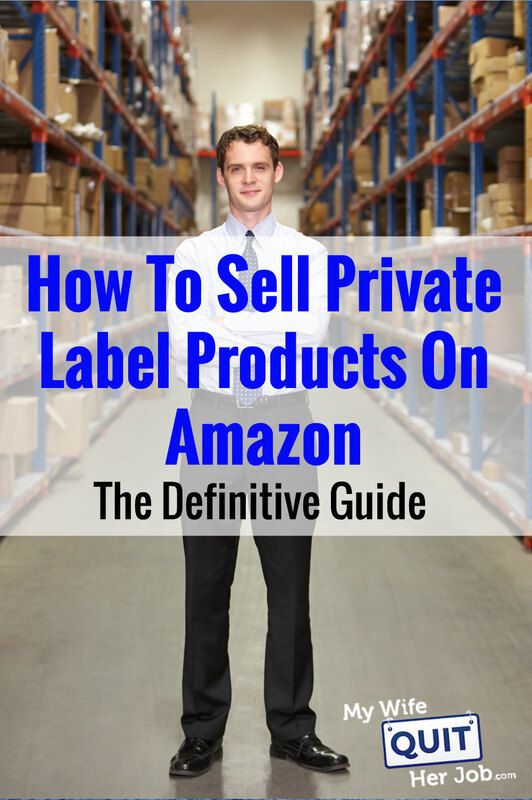 This comprehensive guide was written to teach you how to sell on Amazon step by step. Here’s what you are going to learn. The strategies described in this tutorial are primarily meant for private label sellers but they can be also be applied to other ecommerce business models as well. However in general, if you’re going to make an effort to sell on Amazon, it pays to sell under your own brand. Why? Because when you don’t control the brand, the only differentiating factor is price which always spirals to the bottom over time. By selling your own branded products on Amazon, you always have the buy box, you have full control over your listing, and you can make modifications to your products as you see fit. Editor’s Note: If you are interested in learning how to find and source your own private label products online, then sign up for my free 6 day mini course on how to start a profitable online store. The key to launching a successful product on Amazon can be broken down into 4 basic steps which I’ll describe below. One, you must find a profitable product to sell. Two, you must learn how to create a high converting product listing. But the devil is in the details so let’s go into more depth on how to sell on Amazon. How To Create A Manual Campaign. Finding the right product to sell online is more than half the battle. And the ideal product to sell on Amazon has the following characteristics. Sells For Between $20-200 – This is the sweet spot for online shopping. Generates A 66% Gross Margin Before Fees – You can calculate your gross margin by subtracting your cost of goods from the selling price and then dividing that number by the selling price. 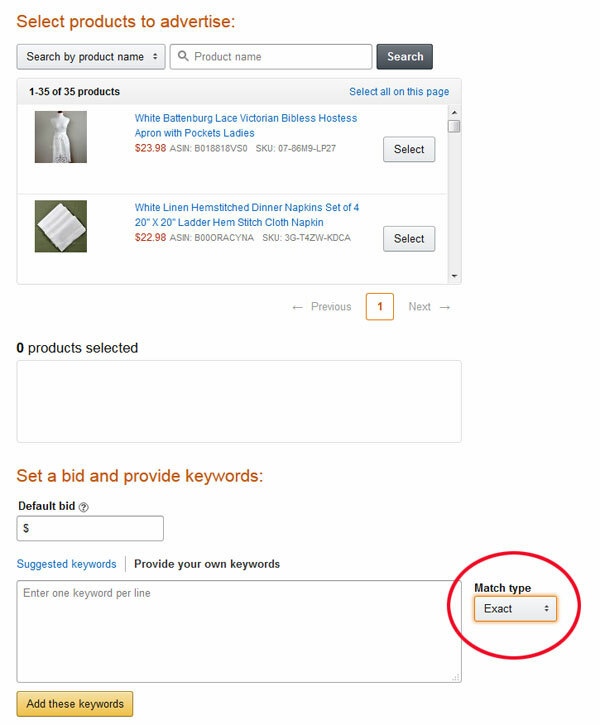 Has Sufficient Demand – On Amazon, people shop by performing keyword searches for what they want to buy. As a result, you have to make sure that consumers are actively searching for your products. Now if you’re anything like me, it’s difficult to just sit down and brainstorm products to sell. I’m not a creative person and product ideas don’t just come to me. As a result, I rely on a specific set of ecommerce research tools to help me speed up the process. The article linked below describes my exact process for finding profitable products to sell online. It is by far the most comprehensive tutorial out there with full step by step video lessons. Please check it out if you don’t currently have a product to sell online. 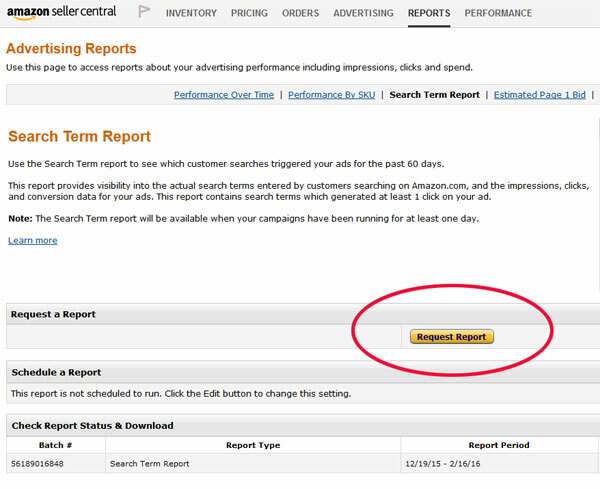 In order to sell on Amazon, you first need to create an account at Sellercentral.Amazon.com. There are 2 choices of account to choose from. Because the ultimate goal is to sell your own branded products, I recommend that everyone sign up for the Amazon Professional Seller account. In order to create a listing on Amazon, you need to purchase a UPC barcode. Now the topic of barcodes often confuses new sellers because Amazon only accepts GS1 codes which are typically purchased from the GS1 website. 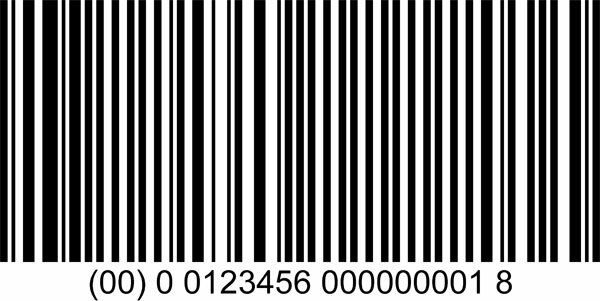 However barcodes purchased at GS1 tend to be expensive because they make you purchase a large block. NationwideBarcode.com purchases large blocks of valid GS1 codes and then sells them individually for just a few bucks per code. You can save a lot of money this way! Once you have a product to sell and you have an account setup on Amazon, the next step is to create your product listing. The key thing to realize about Amazon is that the visibility of your product is based on how likely your product listing will generate a sale on a per visitor basis. As a result, the conversion rate of your product listing makes a huge difference in how you rank because Amazon cares about sales more than anything else. An Amazon listing is composed of four major pieces, your image, your title, your bullet points and your product description. Of the 4 pieces, your image is the most important part of your listing. Make sure your images are at least 1000 by 1000 pixels wide. This is the minimum width required in order for the image zoom feature to kick in which drastically improves conversions. Include a picture of your brand in the photo if possible to discourage copycats. Below is an example of excellent imagery for a product. When you first list your item, it’s going to have 0 views and not much visibility. So whenever you launch a new product, you should do some research with Jungle Scout on how your competitors are doing in your category and then choose a price that undercuts everyone else in the beginning. Start low even if you aren’t going to be making much money and then gradually raise your price over time as your product accumulates more sales and more reviews. Also, you’re going to want to change the prices of your products at least once a week. Why? Changing your prices tends to trigger Amazon to send out abandoned cart emails to people who looked at your products to let them know that the price has changed. This will tend to boost your sales and increase the short term visibility of your item. The title of your product is second most important part of your listing. Right now, Amazon recommends that you include the following in your title description. In other words you want to describe as much of your product as possible BEFORE someone clicks through. Remember, you want the customer to have a high likelihood of buying your product if they browse your listing so you want to include as many important keywords as possible in your title but make it sound natural. Think about your target customer and what they’re looking for and make it enticing. Try to make your listing stand out! Now whenever I tell someone to “make their listing stand out”, sometimes they get carried away so here are some absolute no nos. Never stuff keywords in your title or sacrifice the quality or the understandability of your product title. Never use all caps and do not include promotional messages like “number one” or “top rated” or “on sale now”. Overall your title should convey exactly what your product is within the first 5 words and match what your intended customer is looking for. Now you’re probably wondering why it’s important to include your keywords in the first five key words. The reason is because Amazon displays your products in a variety of places and often times your title will get truncated to the first 5 words. 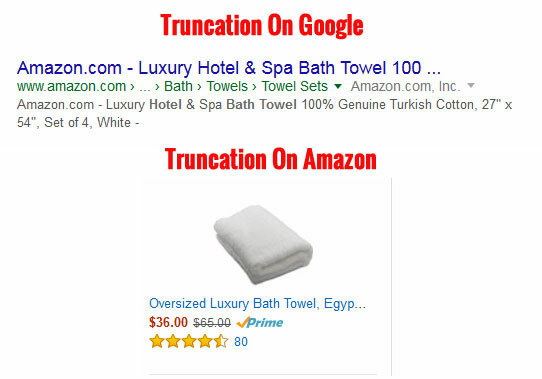 Here are some examples of truncation. Meanwhile, I’ve attached an example of a good product title and a bad one below for purposes of illustration. 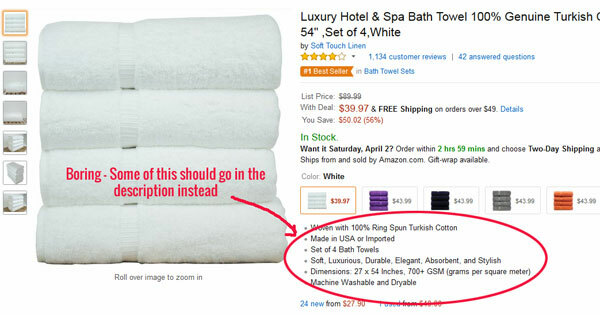 In this example, the seller decided to place “Premium Hotel And Spa Bath Towels White” to the front of the title. This is a very good title because the five main keywords are towards the front. Now if you contrast that to this listing, you’ll notice some major differences. This seller has chosen to have “Cotton Candy TM Bath Towels” at the front of the title. Well guess what? No one has likely ever heard of Cotton Candy as a brand so putting those keywords in the front doesn’t improve the click-through rate of the towel. The title that you choose for your product also determines the product page URL which can be important for the search rankings in Google. How do you get your keywords in your product URL? It’s all trial and error. What you want to do here is to keep changing the title up until your desired keywords show up in the URL. Usually, I spend 30 minutes or trying to get as many of my key words in the product title as possible. Once you have determined your product title, the next step is to optimize your bullet points. Now outside of your images and your title, your bullet points have the greatest impact on your conversion rate! You’ll want to use your bullet points to convey your unique value proposition and why a customer should buy your product. Use your key words in your bullet points and incorporate language that will convince a user to add that item to the cart. Again, you’ll want to be different and stand out from your competitor’s listings. Extending upon the bath towel example, here’s an example of a listing with great bullet points. First off, you’ll notice that for each bullet point there is a concise heading in all caps that stands out for the people who prefer to scan. Then, if they want to read more there’s a more detailed description after the all-caps headline. Here’s an example of a listing with poorly chosen bullet points. In this example, the bullet points are all boring and some of the details are redundant. For example, this seller is essentially wasting a bullet point with “Set Of 4 Bath Towels”. Not only is “Set Of 4 Bath Towels” already in the title, but it serves no purpose in convincing me to buy. In fact, most of his bullet points should go in the description. Remember, your bullet points should contain your benefits using persuasive language. 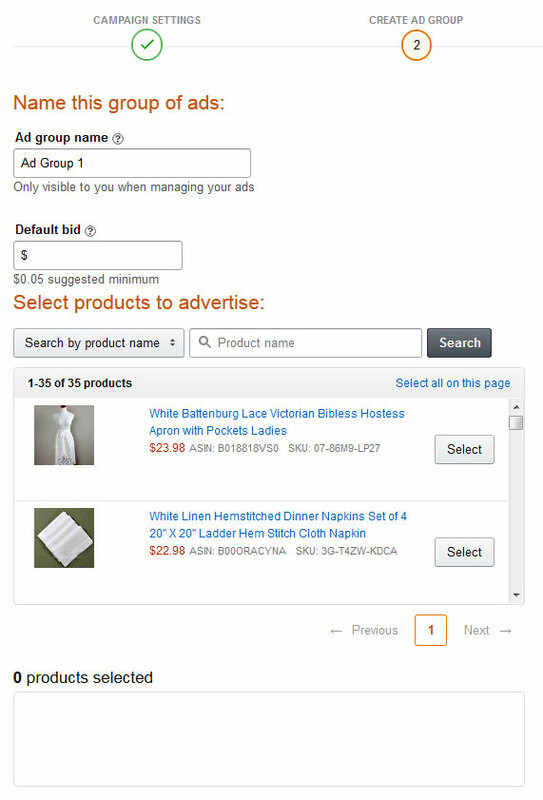 Amazon allows you to add search terms to your listing. The words you enter in these fields will determine whether your product will show up when an Amazon customer conducts a search. To find and explore keywords to use for your listings, I use Long Tail Pro. Long Tail Pro will tell you what keywords people are searching for and their frequency. As a result, you should pick and choose the most pertinent keywords that garner the highest search volume for your listing. Also, keep in mind that the words in your title are searchable so don’t repeat any keywords in your listing. There are many different types of keywords that you can use in your listing so I will summarize them briefly below. Keywords That Convey Benefits – Often times people will search for specific benefits of a product. 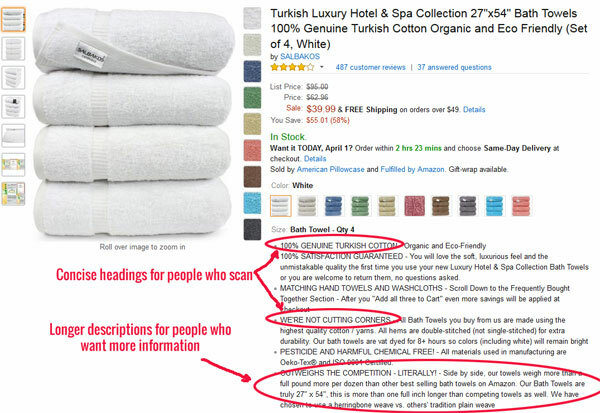 Expanding on the towel example, some people might be searching for “super soft” and “easy care” bath towels. Keywords That Describe A Problem – If you’re selling nail polish that tastes bad for kids, you might want to include terms like “stop biting your nails” because people are searching this way. Keywords That Provide A Solution – If your product offers a specific solution, then you want to specify it. For example if you are selling dandruff shampoo, you might want to use “dandruff problem” in your keyword list. Because your product description is all the way on the bottom of the page, the description is probably the least important but it really depends on what you sell and how complicated your product is. Anecdotally, the product descriptions don’t carry as much impact on search as your keywords, your title or your bullet points but you should still put some effort in making your descriptions look good. While it’s not documented well, you can use basic HTML to format your listings. For example, you can use tags like BR(line breaks), HTML tables and lists but Amazon majorly limits everything else unless you are a platinum vendor. Once your product listing is in order, it’s time for the fun part….making sales! Remember, your goal in the very beginning is to make as many sales as possible even at the expense of profitability. Your first step is to get some reviews any way that you can. The number of reviews your product has is one of the biggest factors for ranking on Amazon. Not only do you need to solicit reviews from your customer but you should also do some giveaways to get some initial feedback on your listing. If you don’t ask a buyer for a review, you will never get one. Now you can manually email every buyer for a review after a purchase or you can use an automated service like Feedback Genius. Feedback Genius will send out automated emails on your behalf after a customer has received their item and ask them for a review. Not only is Feedback Genius free which makes it a no brainer to sign up, but it’s the best way to get real reviews for your products. Note: There are many services out there that are similar to Feedback Genius but as far as I can tell, only Feedback Genius ties in directly with UPS to make sure that the email is sent only after the product has arrived. This is important! Click here to sign up for Feedback Genius for free! Here’s an example email that I send out to all of my Amazon customers using Feedback Genius. This is Jennifer, the owner of Bumblebee Linens. We are a small family-owned business and our goal is for you to be completely satisfied with your transaction. I wanted to thank you for your purchase and let you know that it was a pleasure doing business with you. I hope everything turned out fantastic, and that our linens are everything that you expected. If you’re open to it and we have earned your approval, we would appreciate it if you could tell others about your experience by leaving a review on Amazon. If you’re NOT totally satisfied for any reason, please hit reply to this email before leaving feedback, so that we can resolve any issues. Just let us know what you need and we’ll make things right. Just click the link below and find our product and tell us your experience. It only takes a minute. Your feedback and business is GREATLY appreciated!! In the beginning, it doesn’t matter whether your reviews are organic or not. You just need some social proof for your product. After all, the likelihood of anyone buying a product with 0 reviews is much lower than a product with even a couple of reviews. As a result, your first objective is to go out and gather 2-3 reviews as soon as you can. UPDATE: Amazon has banned all incentivized or heavily discounted reviews. As a result, you must gather your reviews organically. The best way to solicit reviews today is to make sales to real customers either via paid advertising, social media or through your own email list.You can easily build targeted email lists through giveaways and free plus shipping offers. You can also reach out to distant friends (not connected on social) and have them buy from you and leave a review as well. If your brand is registered on the Amazon brand registry, you can also solicit up to 5 reviews by taking part in Amazon’s early review program. For more information, I have written a comprehensive guide on the best ways to get reviews on Amazon. Amazon sponsored ads are pay-per-click which means that you pay Amazon a fee whenever someone clicks on an ad. And they are awesome because everyone who visits Amazon has an intent to buy so the conversion rate is super high. Compared to other cost per click ad platforms like Google Adwords, the relative cost per click is extremely low and the conversion rate is significantly higher. Anyway, the reason you want to be running these ads is that it will bring visibility to your products that have yet to rank in search. Before you start buying your first ads, there is also some terminology that you must know. First off, you must understand what aCOS means. aCOS stands for advertising cost of sales which is the percent of attributed sales spent on advertising. aCOS is by far the most important metric for your ads and the lower the cost the better. Depending on your margins, you will generally want your aCOS to be in the 20’s or less to maximize your sales vs visibility on Amazon. 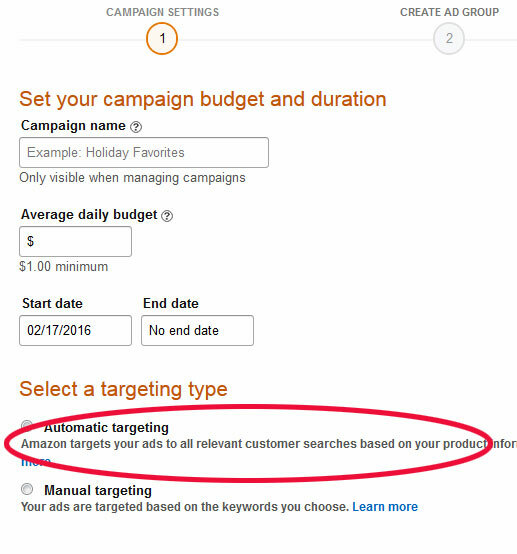 In any case, here is how I personally run my Amazon sponsored ad campaigns. 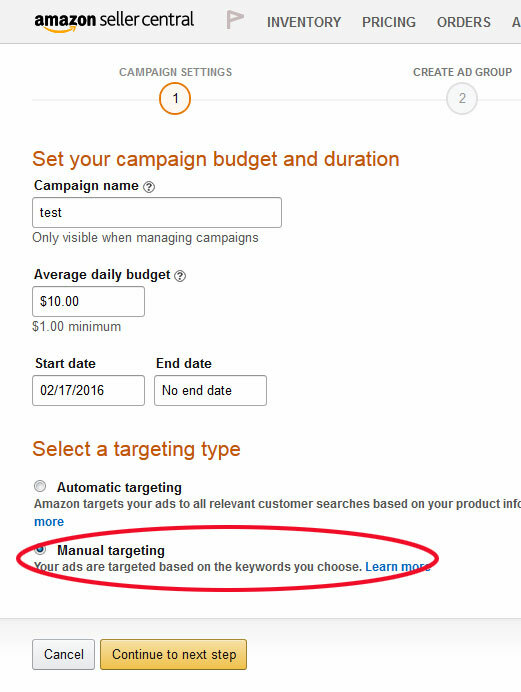 By allowing Amazon to run your campaigns for you initially, you are gathering keyword and conversion data for your products. And this information is essential to optimize your future campaigns. Here are instructions on how to set up your first automated campaign. After you’ve let your ads run for a few weeks, you’ll want to generate a keyword report and figure out which keywords are converting the best and which keywords are performing poorly. 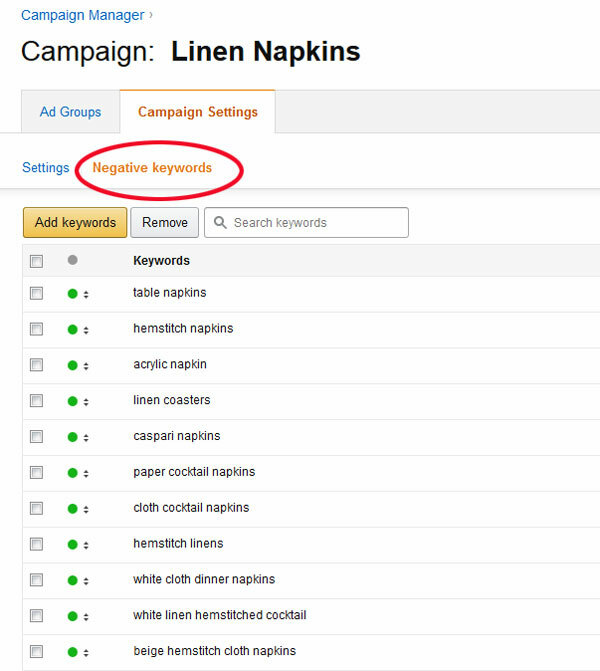 First off, you want to find the keywords that aren’t converting and add them to your “negative keyword list” for your ads. Then, look for your top performing keywords with an aCOS in the twenties or below and create a manually targeted campaign specifically targeting those keywords. Add your top performing keywords and an appropriate bid that is 15-25% higher than your automated bid. The reason you want to add your best keywords as negative keywords to your automated campaign is because you don’t want your automated campaign to interfere with your manual campaign. Once you have an automated and a manual campaign, you will want to let both campaigns continue to run. Your automated campaign will constantly be exploring new words that you might not have thought of yourself. Meanwhile, your manual campaign will target keywords that you know convert well. You will want to bid higher on these keywords to maximize visibility and sales. Once you have a steady trickle of sales on your products and receiving organic reviews, it’s time to plot your strategy for making the front page of Amazon search. The first thing you should do is use Jungle Scout to find out how many sales per day the other products on the front page of search are selling for a particular keyword. Then, you need to check your own reports to see how many sales you are making per day. Subtract the number of sales that the listings on the front page are making from your own daily sales. This number is your sales goal. Once again, use your email list or Facebook ads to sell discounted products to increase your sales velocity up to your sales goal. This strategy should take you to the front page of search at which point your natural sales should begin to feed upon itself. Once you reach this point, you can either stop discounting or continue to supplement your sales with periodic sales to maintain your position. One other thing that I like to do to increase product visibility is to have friends ask questions on your Amazon listing. 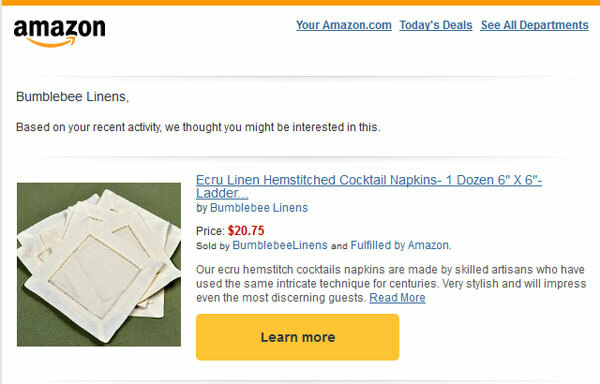 Whenever someone asks a question, Amazon will email past purchasers of your product to solicit answers which may boost your sales. The other thing that I do periodically is to have colleagues vote down my negative reviews so that they are less visible. Get your product listing in order with great images, a great title and great bullet points. Set up Feedback Genius to encourage buyers to leave a review. Anyway, good luck with selling on Amazon! Once again, I must emphasize that selling on Amazon should not be your end goal. Ultimately, you will want to start your own branded website to future proof your business. But in the meantime, Amazon is a great way to make some cash. Awesome summary, I like your actionable insight into the number of sales you need to increase to get to the front page. Great way to analyze the optimal number of giveaways. Thanks Jon! Would you mind sharing this on your channels? This post is a godsend. We are just in the process of creating our first private label product that we’ll launch to an audience we already have at our site – it’s a tablet related thingymjig. So, we do have a big advantage that I have only seen a few e-commerce blogs write about – an existing email list of 60,000 people who trust us – i.e we’re hoping that is effectively an in-house discount/review lobby. In the process of getting set up I and my partners have read endless posts about FBA and have shelled out for two courses. And, no hype, there is more actionable stuff in this one post than we got from the paid courses. Theses steps are pure gold and I love that you’ve just listed ‘do this, do that’. I’m following this exactly when we launch as soon as that first shipment lands in the US. Thanks again – this is a killer piece of detailed advice. have addressed before. The first being age, I am 83, I expect to live a few more years but you never know. The second is why you are in business, money. I had not expected to live this long let alone longer and did not prepare financially. I am existing on social security alone and need to change that. I am not aware of any senior program you may have but it would certainly be a large untapped market for you. People over, say 70 are still very active and willing. Vision is not with eyesight alone. Please make me aware of any program you have or of any program you would like to start. P.S. Congratulations on your decision to devote full time to this, your children will be the wealthier for it. Really, truly amazing information. You make something that seems like a big project into easy to follow steps. I’ll be sharing your post across my channels. can this apply on ebay too? Thank you so much, Steve, for making it so SIMPLE to understand with GREAT value. Amazing work and keep GOING. You got my attention from this piece for sure. What is your view on the new Amazon TOS regarding getting reviews? Appreciate your kind reply and stay blessed. Another time learning a lot with you! Only one question: where do you get your supplier from who is willing to ship it for you? And my be other question: how do you know if product is decent quality, because you will have to deal with complaints and returns. Thank you for the post! Are you sure you can use competitors brand name in search term field as I saw Amazon has a policy to restrict it? Thanks for catching this. I have fixed the post. Just saw your post, excellent advice but a minor minor point I’d like to make is that you no longer (as of 2013 I believe) have to be a pro seller to create a new product listing. It’s absolutely true, in 2015 I created a listing myself when I only had the free individual seller account. I uploaded the picture, created bullet points, etc. for a barcoded retail item that was discontinued many years ago. Sorry to nitpick but when I see that obsolete rule repeated, and oftentimes by gurus I have to nitpick, lol. It depends on the category. There are certain categories where individual sellers can not apply. STEVE, I have been following your free content for sometime now and must say I’m more impressed by each lesson that I receive. Recently, you released a lesson regarding launching a product on Amazon. I didn’t know that you provided instruction on Amazon private label. It looks like you actually have a mastery of the economic models and I’m wondering if your program provides instructions for diversification across the models. I’m really struggling to implement any, while I keep toiling trying to build several. I’m really hoping you could help. Wow! So much info. Terrific detail. Thank you so much! Really, truly amazing information. Awesome summary, I like your actionable insight into the number of sales you need to increase to get to the front page. Great way to analyze the optimal number of giveaways. You make something that seems like a big project into easy to follow steps.